Adequate and well-organized storage is the difference between an efficient kitchen and one that feels cumbersome, cluttered and clunky. Inadequate storage means your small appliances, kitchen tools and other kitchen essentials end up consuming valuable countertop space. Disorganized storage spaces means you may be bending on all fours, reaching into cavernous corner cabinets to get what you need. 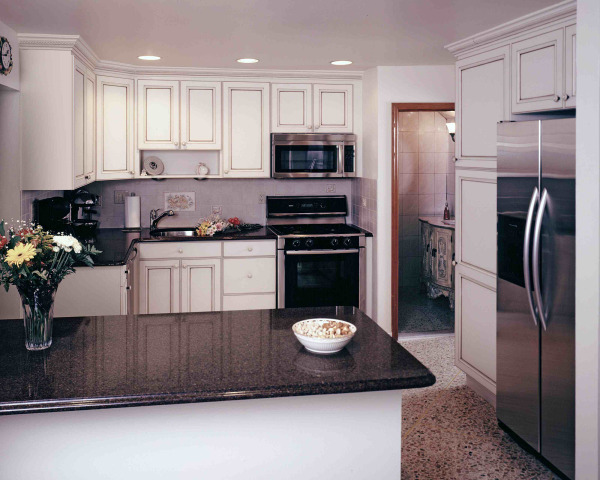 Neither scenario is ideal - especially if you're ready to spend money on a kitchen remodel. 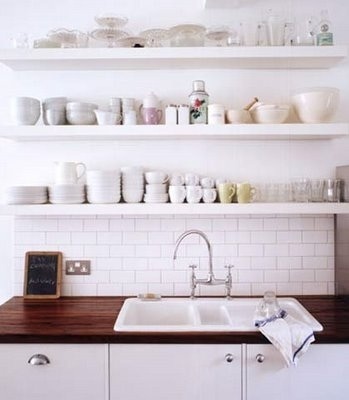 7 Ideas For Ensuring Kitchen Storage is Adequate, Organized & Amazing! 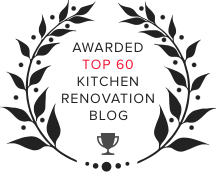 If you're going to remodel your kitchen, do it right the first time. These 7 ideas will make sure you can get to what you want, when you want, without a moment of frustration. First, we recommend taking cabinets to the ceiling wherever possible. The idea of leaving space between cabinets and ceilings is just plain wasteful - and it creates a big dust magnet. 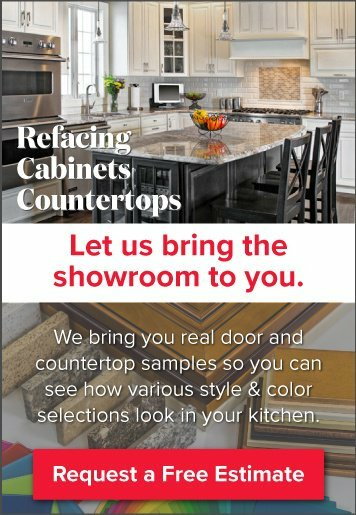 By continuing cabinets to the ceiling, your kitchen will appear taller and will gain increased storage space for servingware or seasonal kitchen decorations that aren't used on a regular basis. Pull-out shelving is akin to a miracle feature. Instead of you having to go to the shelves, the shelves come to you. Remember all the cavernous cabinets we mentioned above? Now, you simply reach in to the edge, gently pull and - voila! - the drawer's contents are within easy reach. As long as you're using pull-out shelving, add a rack or two. 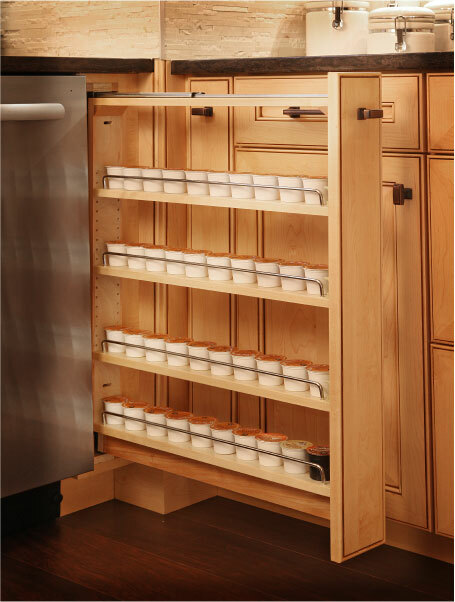 Pull-out shelves can store pots, pans, lids, mixing bowls, etc., all on racks that keep them organized and prevent the un-nest and re-nest routine that occurs when they're piled on traditional shelves. 4. Make spices pull-out too! You know why the junk drawer is a junk drawer? Because everything gets jumbled on top of everything else. With customized drawer organizers, you can create silverware drawers, cooking utensil drawers and even whole dish set drawers. No more clanging-and-banging as you try to find what you're looking for. Don't underestimate the power of open shelving. It keeps your most useful items front-and-center without requiring a closed cabinet or drawer at all. It can also be used to tuck small appliances out of the way, without entirely cutting off access. Make your toe-kick (the base of the cabinets) work for you by installing a drawer that kids can use for art supplies, toys, etc. Looking for more great ideas to improve kitchen storage? Contact the design gurus at Kitchen Magic.